Yeah, it looks just like the Linksys WRT32X from last fall, but Linksys says this one’s designed to recognize and prioritize Xbox gaming traffic. Linksys has joined with Rivet Networks once again to build a router that recognizes and prioritizes gaming traffic on a home network. The Linksys WRT32XB is essentially the WRT32X that Linksys launched last fall, but with a twist: This model is specifically tuned for Microsoft’s family of Xbox One game consoles. Using Rivet Networks’ Killer Prioritization Engine, the WRT32XB will auto-detect any Xbox One operating on its network and prioritize the console’s data packets to minimize lag. Linksys says it can reduce ping times for the console by as much as 65 percent. PC gamers operating Killer-enabled computers on the network will benefit from similar prioritization rules. Both the WRT32XB and the earlier WRT32X are dual-band AC3200 routers that support MU-MIMO and operate discrete networks on the 2.4- and 5GHz frequency bands simultaneously. They’re powered by a 1.8GHz dual-core CPU that can address 256MB of Flash memory and 512MB of RAM. Each router has one USB 3.0 port and one eSATA/USB 2.0 combo port for sharing storage over the network. Linksys says it’s working with Rivet Networks to further improve the Killer Prioritization Engine so that gamers using mobile devices will benefit from the same performance optimizations as console and PC gamers. That firmware update is expected to be available in the spring. 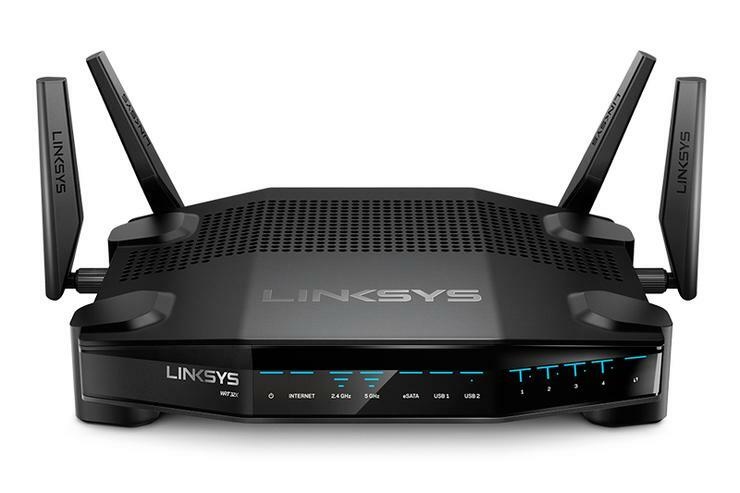 The Linksys WRT Gaming Router WRT32XB is expected to be available in February and will cost $300.